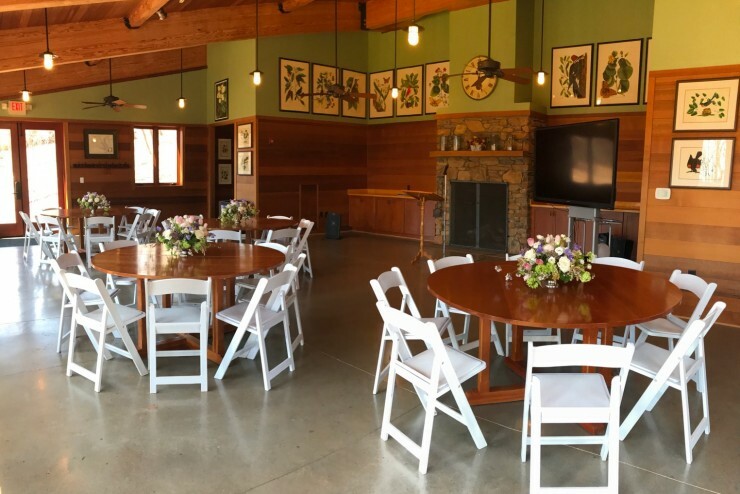 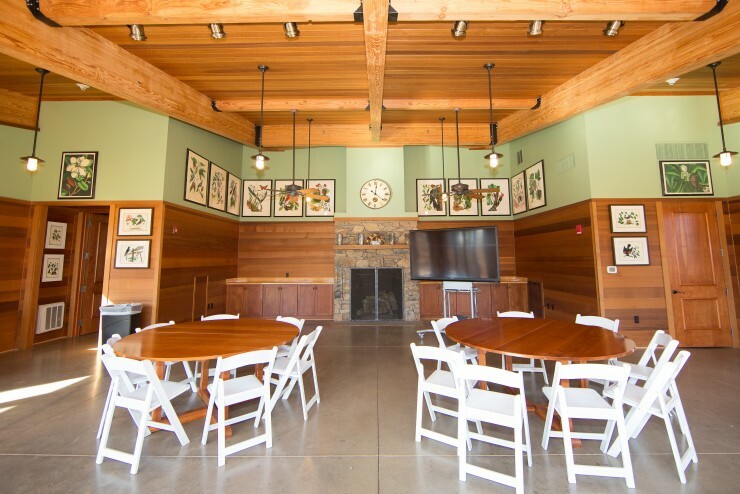 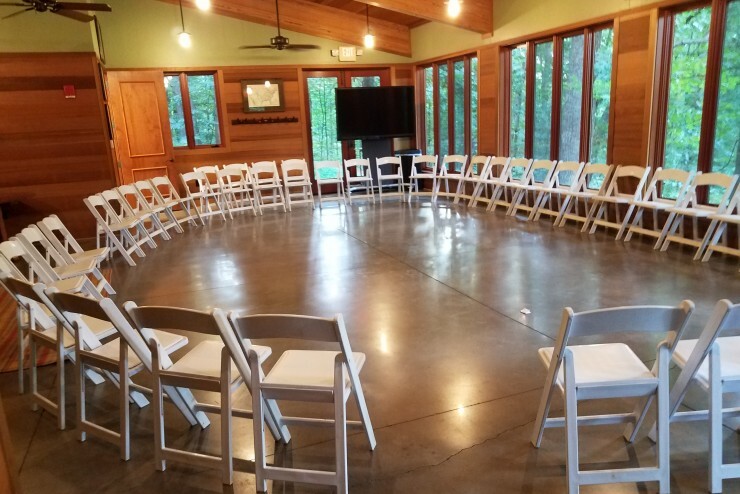 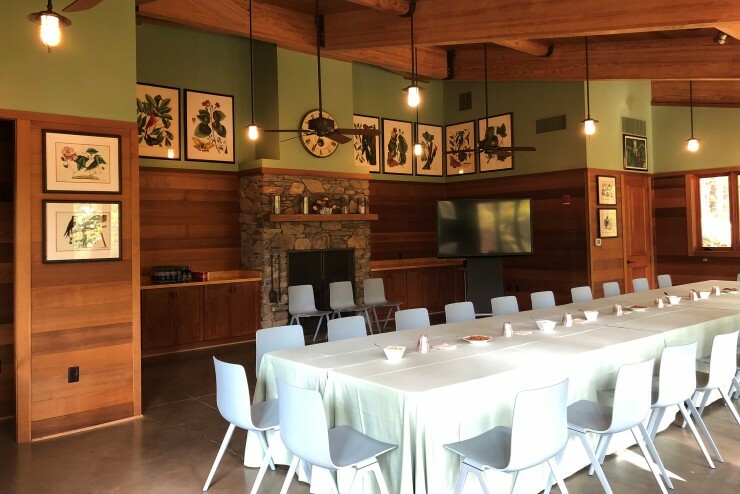 Nestled in the white oak forest of Monticello Mountain, the Smith Woodland Pavilion reflects the natural beauty of Monticello and is the perfect setting for a dinner, reception, board meeting, or presentation. 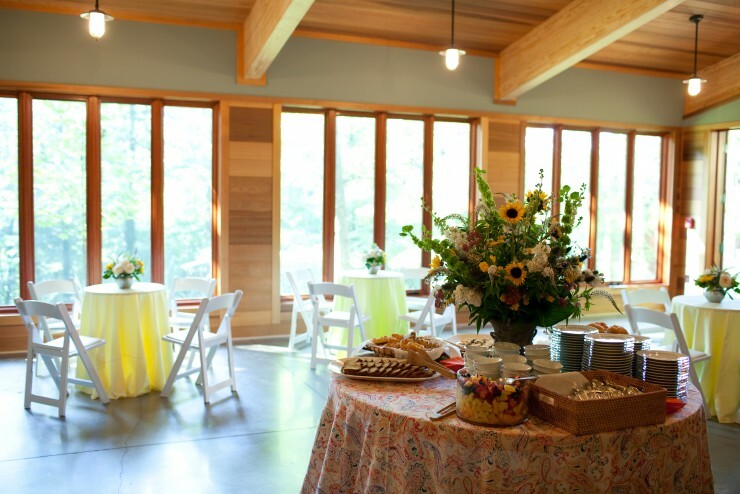 The casual elegance of the warm cedar walls, 15-foot ceilings, and large windows creates an open space that provides beautiful views of the forest in any season. 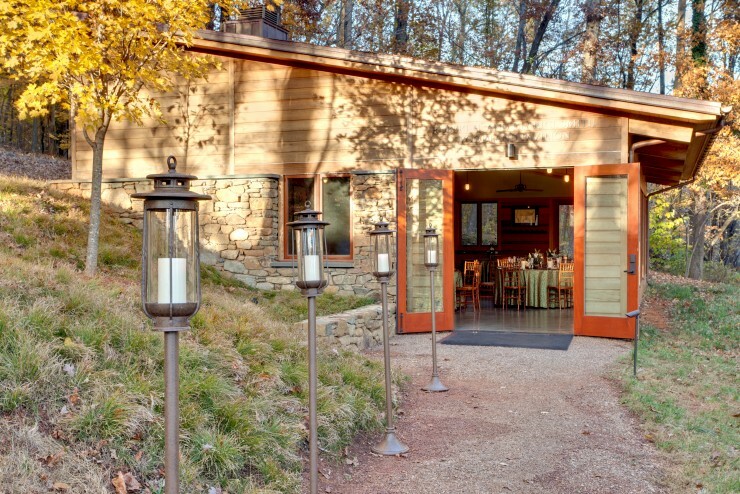 The pavilion also features a wood-burning fieldstone fireplace that provides warmth during the cooler months. 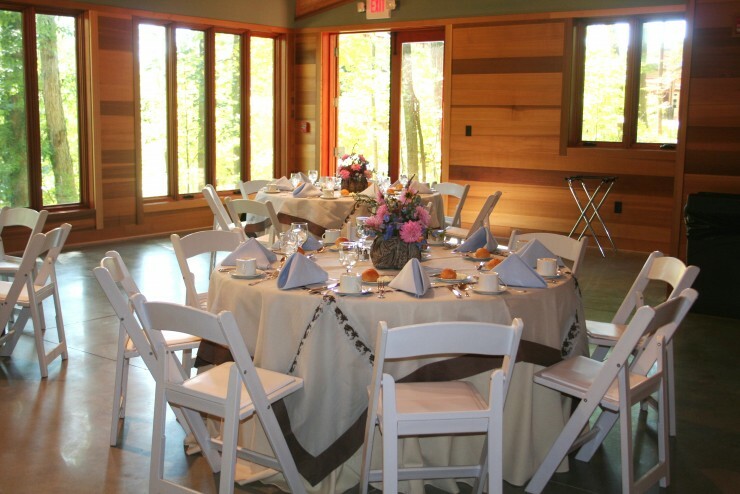 The proximity to the Monticello mountaintop and Visitor Center makes the Smith Woodland Pavilion one of our most popular event venues.